Oil palm plantations and mills Our plantations cover 83,000 hectares of oil palm and are based in six locations; West New Britain, Ramu Valley, Milne Bay, Poliamba and Higaturu in Papua New Guinea and the Guadalcanal Province of the Solomon Islands. Around 25% of fruit is supplied by over 17,000 smallholders, and we operate a total of 12 crude palm oil mills, one palm kernel mill and three palm kernel crushers, processing around two million tonnes of Fresh Fruit Bunch annually. 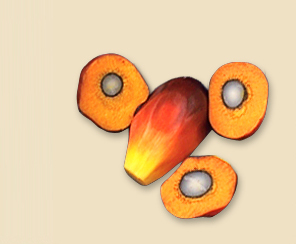 All of our crude palm mills and our palm kernel mill have achieved certification against the RSPO standard. Refineries Our main refinery, New Britain Oils, is based in Liverpool, UK. New Britain Oils focuses on delivering segregated, traceable and certified sustainable food ingredients to end customers based in the EU. We also operate a small refinery and a bulking terminal in West New Britain. Sugar plantations Ramu Sugar is the only major sugar producer in Papua New Guinea, providing around 80% of all commercially available sugar. Ramu has 5,700 hectares of sugar cane which is processed and refined at our own mill and sold across Papua New Guinea. Cattle With over 20,000 head of cattle in the Ramu Valley and West New Britain roaming 9,000 hectares, and our own abattoirs, we are Papua New Guinea’s leading commercial producer of high-quality beef. Oil palm seed Our West New Britain operations are home to Dami Research Station, which delivers over six million world-class seed per year. Dami seed are also produced through joint venture operations in Indonesia and partner agreements in Malaysia and Colombia.